Smart commercial property investors try to understand what the future might hold for their investment. And a wise way to do this is by looking at the health of the economy through economic indicators. It’s all about time in the market. That’s what some commercial property investors say about successful investing, while others protest that timing the market is the formula for success. Whichever you believe, the success of a commercial property investment will largely be determined by the environment that it’s in. We call that environment the economy. The state of the economy will give a pretty good diagnosis as to whether the commercial property market will take a turn for the better or worse in the future. So here are a few popular (and not so popular) economic indicators to help tell the future health of an economy – and your investment. A bustling economy relies on output. And output relies on employees. These employees are usually attracted through job advertisements, so if there’s been an increase in employment opportunities, it’s a pretty good indicator that businesses are ramping up activity for the long run. Growth in job advertisements is a clear driver of tenant demand for commercial property landlords. So, when an office property owner hears of Perth CBD experiencing Australia’s largest year-on-year growth rate for office job advertisements*, they’ll be spinning in their desk chair knowing businesses will demand quality space for their new employees. Some might see them as eyesores. But if you’re concerned about the performance of the property market, you’ll see the beauty of cranes. Fast-growing population – New developments are erected to either house individuals, or to match newfound output from a growing number of businesses. New employment – A big project employs lots of workers and will even pull skilled migrants from other states or countries if the development is big enough. Amazingly, Australia had a whopping 735 cranes across its skylines in August 2018 – more than all of the US (approximately 300 cranes). Australia’s crane phenomenon is mostly piloted by huge demand from retail, office and education tenants, who have pushed up non-residential construction by 12 per cent from last year to $41.5 billion. Cranes don’t just construct buildings, but healthier economies too. If you’re an investor in a mining state like WA or QLD, you’ll probably understand why mining booms are a good thing. 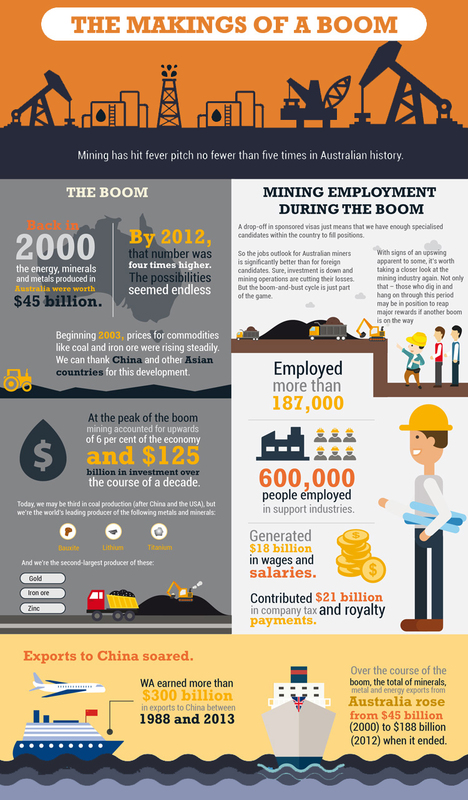 With 600,000 people employed in support industries, $18 billion generated in wages and salaries and $300 billion earned from exports to China over thirty years, it’s no wonder mining has been a major determinant of Australia’s economic health. If another boom is on the way for a mining state, it’s worth keeping an eye out if you’re in line for purchasing commercial real estate. Australia currently has one of the fastest growing populations in the western world (1.6% since 2017) and this can have very healthy impacts on the economy. Population growth means greater demand for consumer goods (think retail property), infrastructure and planning (think industrial property), and professional services (think office property). 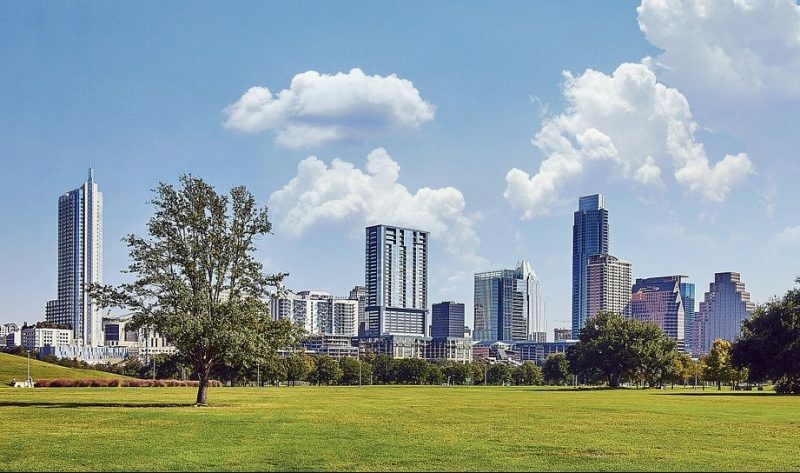 For population growth to translate into increased commercial property values, it’s important to look at what parts of the population have grown. If births have caused the population to increase (i.e. natural population growth), then it might be years before these new residents push up property values. But an influx of skilled workers or interstate migrants will mean all hands on deck to support the growing demand for goods and services. Population growth is also good for breeding competition among businesses. Because more customers enter the market, companies step up their game to vie for their business. Competition encourages innovation, improves infrastructure and increases productivity. This means established businesses will seek larger premises or new competitors will require new space. Demand for commercial property goes up, and so do commercial property values and yields. The Human Development Index is an index used to rank countries in order of what the UN says are the ‘three basic dimensions of human development’ – life expectancy, education and per capita income. While it’s unlikely you’d find the average commercial real estate investor scouring the Human Development Index as an economic indicator for their next location to invest, a quick review of countries on the list does give a helpful report on why parts of the globe differ in economic health. If a country is achieving these basic dimensions well – life expectancy, education, income – there’s a solid correlation to that nation having generally very good economic health. The median salary Down Under is about $US46,500, compared to $US16,729 in South Africa (ranked 113th). The average life expectancy for boys and girls in Australia is 80.4 years and 84.6 years respectively. Australia has the highest expected years of schooling with 20.4 years, eclipsing the 16.5 years in the US (ranked 13th). For a country which just recorded the longest period of economic growth in history at 27 years, it’s no real surprise it’s been awarded the third strongest Human Development Index. Higher salaries mean more spending and will trigger an active economy; an educated and sophisticated population will push innovation up and unemployment down; and high general health means more people can focus on better living standards through jobs, shopping and investing. While it’s easy to agree Australia is a great place to live, it’s even easier to agree it’s a very healthy economy for commercial property investors to put their money into. Just look at the economic indicators. For more information on how to invest alongside experts who understand what makes a successful commercial property investment, get in touch with Properties & Pathways today.